The battleship Arizona burns and sinks during the Japanese attack on Pearl Harbor. Army photo. It was a sunny, Sunday morning when bombs started raining down on Pearl Harbor 71 years ago today. In the chaos, more than 2,000 service members died, 21 boats sunk to the bottom of the harbor and most of the 394 planes on the island were either damaged or destroyed. Today, the community of those who remember the attack is shrinking. There are fewer than 3,000 survivors of the attack nationwide, and the national Pearl Harbor Survivors Association disbanded Jan. 1, since there were not enough members to keep it together. 1. Betty McIntosh, a reporter for the Honolulu Star-Bulletin from 1940-1942, was asked to write an article after the bombing for the newspaper’s female readers. However, her editor decided her first person account would be “too frightening” for the women, and it was never published. Her words ran in the Washington Post for the first time this week. Be sure to watch the video too, where McIntosh talks about her second career as a spy for the CIA. 2. Paul Meeker, who enlisted in the Army in 1938, was taking advantage of time to sleep in that Sunday morning when the sound of explosions woke him up, according to his story on NavyTimes.com. While scrambling to save his life during the attack, he took a few quick minutes to write and mail a postcard to his mother that said: “I am alright. Love, Paul.” She received it three weeks later. 4. Ray Emory, a survivor of the attack, is making sure that those who died are remembered, according to this article in the Telegraph Herald. Emory used old documents to determine which ships sailors buried in unmarked graves served on. He is being recognized by the National Park Service for his efforts, which lead to more than 300 gravestones being relabeled to include the ship names of the deceased. 5. Edward Wentzlaff, the only living survivor of the attack in Minnesota, rushed to his battle station on the battleship Arizona during the attack instead of following his shipmates below deck — a decision that ultimately saved his life, according to this story in the Star Tribune. He was scheduled to get out of the Navy on Dec. 8, 1941, but didn’t leave the service until 1946 as a chief warrant officer. He plans to be interred at the USS Arizona Memorial. 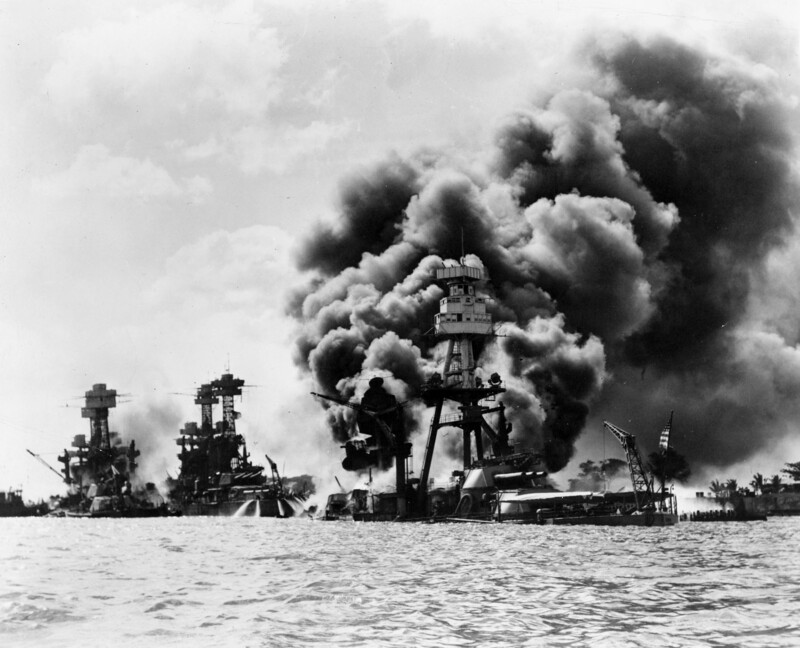 What are you doing to commemorate the 71st anniversary of the attack on Pearl Harbor? Have you read any good first person accounts that we missed? Do you or a family member have a story to share?